For 35 years, Inc Magazine has welcomed and named the top America’s fastest growing companies in a very exclusive club on the Inc 5000 List. 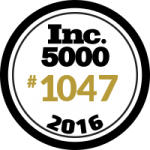 Symphony Placements has been honored to be part of the Inc 5000 Fastest Growing American Private Companies for 3 consecutive years! Wanda Smith, CEO Founder of Symphony Placements, a flexible staffing firm in Maryland, has been once again earned the position of #1047 on the 2016 Inc 5000 List. 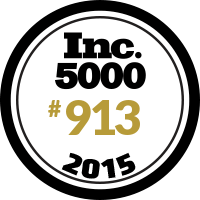 In the past two consecutive years on the #Inc5000 List of Fastest Growing Companies in America Rank #913 2015 and Rank #1958 2014. Wanda believes the company’s growth is attributed to partnering with niche clients in call centers and healthcare industries, as well as a cohesive savvy recruiting team lead by her VP Marta Chavatel. In 2015 Symphony Placements announced a new staffing division for high end and technical support for IT Services. In 2016 an expansion to Virginia and Washington State in staffing large call centers is part of the growth strategy for the next 2 years for the company. Symphony Placements is having a milestone years as they are celebrating 10 Years in Business! In 2006 Wanda left a large national staffing agency and opened the doors to a flexible staffing firm that could create personalized services to clients and carve out niche specialty areas. The goal was always to “bring harmony” to clients and be an extension of human resource departments in small and large scale companies. Wanda continues to affirm #FlexibleStaffing is the new vehicle for human resources, working place hiring and creating solutions for the challenges of personnel staffing in America – Wanda Smith and Team are honored with this recognition….Read more here!